4'x5' Single Sided Mesh Banner. 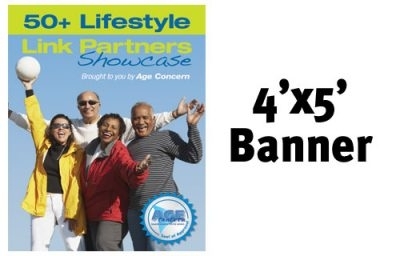 Mesh Banners are made out of vinyl that is perforated much like a window screen. No need for wind slits. It allows 25% airflow through it. It is meant for larger applications or for high wind areas. The pricing included on this product is by the square footage. The mesh banners come with standard grommets.